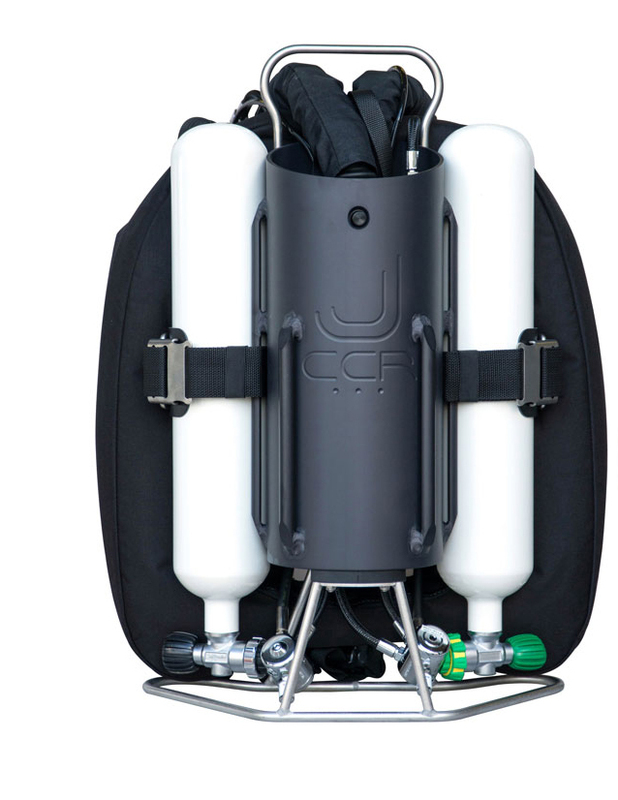 The JJ CCR Rebreather is designed and built to exceed the expectations of demanding technical divers, but the simplicity of the unit makes it ideal for any diver that wants to go no bubble diving – silently! 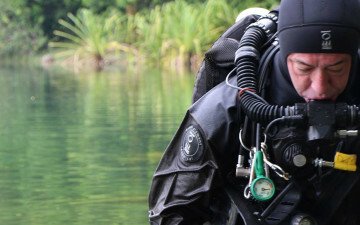 The JJ CCR Rebreather equipment has been called “the 4 x 4 of the Rebreathers” which is in many ways a consistent description as it is built for all types of diving grounds and can be changed to handle the most demanding thrill seekers. Our Closed Circuit Rebreather training will be trained by well experienced technical rebreather divers. Below you can see the JJ CCR International Edition as released in late 2013. Now with a Petrel computer (which we also own) and a digital HUD. Ready to dive right out of the box. We experienced this when we picked up our JJ CCR. Bring it to your favorite dive spot, fill it with gas and sofnolime and your well deserved serious adventure is about to begin. The philosophy behind the makers of the JJ CCR is to keep it simple; K.I.S…. 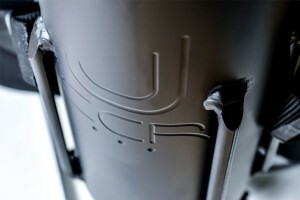 The JJ CCR has a robust construction with minimalistic detail work. 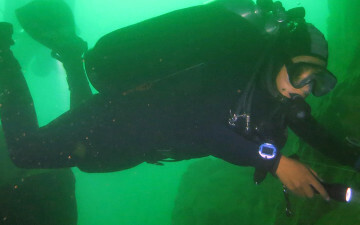 It gives the diver a versatile rebreather, still very easy to handle as well as to deal with before and after diving. It is a rebreather built by divers and diving engineers. All components has a purpose and every detail can be justified to perform as a system helping the diver to reach his goals. The JJ CCR is equipped with state of the art electronics and computing but it will still demand a skilled diver fully aware of the Pro´s and Con´s of technical rebreathers. It is built as a platform simple to adapt in many configurations depending on your skills and needs. All components of the JJ CCR rebreather has a purpose and every detail can be justified. It has industry low work of breathing, state of the art electronics with redundant power supply, a user-friendly design and heavy-duty construction. A slim, robust and simple construction opens for the diver to place bailout, light canister, or gas for buoyancy needs directly on the scrubber housing. The latest news about the JJ CCR is that is now has the CE EN14143:2013 approval. Highly robust aluminium housing to which it is possible to secure up to 4 diving tanks (2 – 12 litre) using conventional tank belts. Redundant power supply: One battery for the controller, one battery for the HUD and two parallel batteries for the solenoid. None of the batteries are integrated into the loop. The canister is made from hard anodised aluminium and has 4 welded consoles for attachment of tanks and/or light canisters, etc. The canister has two cylinders that can be filled with compensating weights if this will be needed. The lift handle that is on top of these cylinders can be lowered to lower the height of the construction. 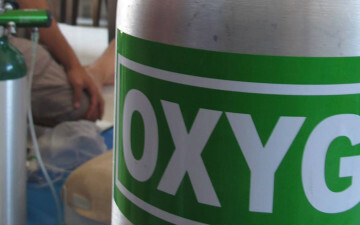 The stand which is bolted in the bottom of the canister is made from stainless steel and gives stability and comfort to the user while handling the rebreather on land. independently of the controller. This means that it uses its own DiveCAN® bus, electronic and power supply. 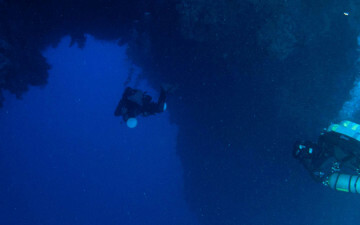 The JJ-CCR is equipped with a Shearwater Petrel controller, which has a multi-gas (nitrox, trimix, heliox) and multi-mode (OC and CC) decompression computer. 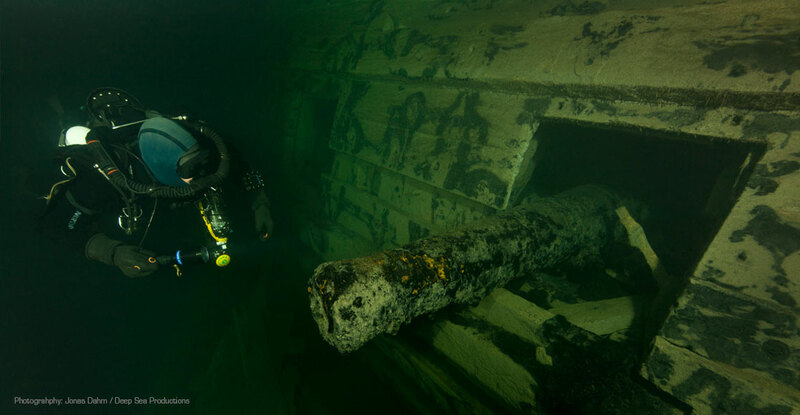 The firmware installed on the controller is optimised for the JJ-CCR Rebreather and has capabilities and functions developed specially for the equipment. 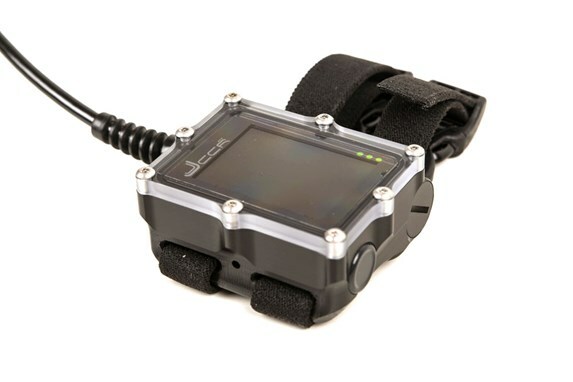 The Shearwater Petrel has a 2.4″ Full Colour HD Display. The controller does only have two buttons and a logical menu for rapid operations. The controller can accept a variety of AA sized batteries. The controller can accept any AA sized (or 14500 size) battery that outputs a voltage between 0.9V and 4.3V. JJ-CCR ApS strictly recommends to use only a SAFT 14500 LS 14500 battery for the controller. Everything started some years ago when I did a rebreather course with Jan Jorgensen. After that I decided to buy a rebreather, but Jan Jorgensen said to me: This is not an option for you – you can build your own rebreather! He already had a design of a new rebreather in his mind. After that we spent a lot of time together and I showed him what would be possible to machine. 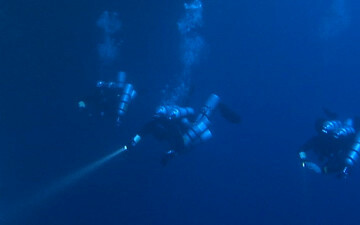 The very first prototype of the JJ-CCR Rebreather was ready for diving in March 2006. Jan Jorgenson was one of the “crash test dummies” – Already after the first dive he really liked the unit very well and he was surprised about how good everything worked. 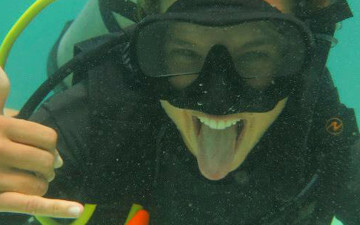 I also spend many hours with test diving the rebreather and try to improve the overall design and features. In January 2007 we got the first Shearwater GF. 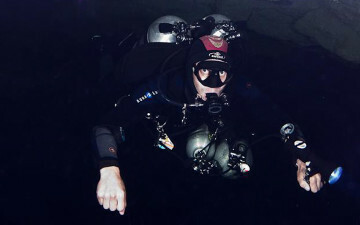 Lars Steffeesen – a good friend – did a try dive with it. 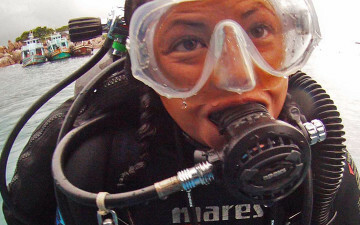 We never got back the rebreather! Another unit was sent to Dave Thompson to do some try dives and play around with it. Dave Thompson had designed some backmounted counterlungs he wanted to try with the JJ-CCR Rebreather. We never got back this unit either!